On March 30, 1775, General Thomas Gage, commanding British forces occupying Boston, made a major show of force that would escalate already high tensions in the province of Massachusetts Bay. It was a significant event, often overlooked…or merely given a footnote…that would lead to increased resolve on the part of provincials to resist any further incursions outside of Boston. 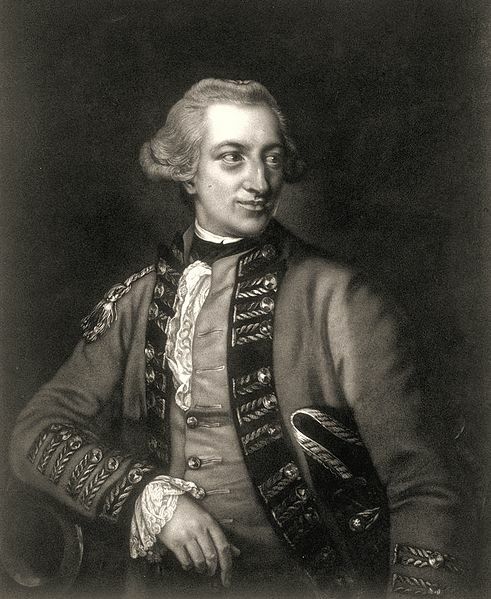 British troops had been stationed in Boston since 1768 but the build up of large numbers took place in the summer of 1774 shortly after General Thomas Gage was appointed Royal Governor of Massachusetts. He already held the title of commander-in-chief of British troops in North America. In the Spring of 1774 that commander-in-chief would be ordered to make the pacification of Boston his first priority. After arriving in Boston in May 1774, Gage would begin pulling British regiments from New York, Philadelphia, Quebec, New Jersey and other places, amassing them in Boston. By the end of 1774 he had a total force of about 5,000 men. In the late summer and fall of 1774, Gage sent out expeditions aimed at confiscating the provincial gunpowder stores…some of them successful, some of them not. This prompted Provincial Congress, an extra-legal legislative body formed in defiance of Gage’s decrees, to order the preparedness of the militia in each town and the formation of minute companies to quickly answer any emergency that might arise. By the winter of 1774-1775, Gage had his eye fixed on Concord where the outlaw government met and where munitions and supplies were being gathered. The fact that a strike would be made at Concord was hardly a secret. It was only a matter of when. And whether the provincials would be prepared…and have the mettle…to resist. Preparing for the movement, Gage periodically ordered regiments stationed in Boston to march out into the countryside in the early, frozen months of 1775. Typically they marched across Boston Neck to Roxbury and back, not more than one regiment (about 300 men) at any given time. The purpose of this was to keep his men exercised and prepared for an expedition. And also to keep the provincials confused and guessing whether any given movement was just a drill or the real thing. By the end of March 1775, Gage had his plan in place. He had sent his spies to Concord. He knew the route along which he intended to send his troops. He was simply awaiting orders from London to authorize his strike. While he waited, he evidently decided it was time to make a demonstration and test the provincials’ reaction. On March 29, 1775, Gage issued orders to Lord Hugh Percy, commanding the First Brigade in Boston, “…the first brigade to be under arms tomorrow at six o’clock with their knapsacks on. The brigade will assemble on the Grand parade, with four companies of light infantry and four companies of grenadiers to the right of the whole.” In short, four regiments, about 1,200 men, would assemble on Boston Common, drums pounding. They would march out to Roxbury, the largest force sent out into the countryside up to that time. And they would not turn back at Roxbury. The massive column of Redcoats marched along the road to Cambridge, through the little villages of Roxbury and Brookline and on through what is now Allston along what is now known as Harvard Street. The force sent provincial alarm riders flying, some of them making directly for Concord to warn Provincial Congress which was, that very day, in session. Along the way the Regulars destroyed rail fences and toppled stone walls, clearing spots where provincials might, in days to come, ambush such a column. Anderson Memorial Bridge, built 1915 on the site of the Great Bridge. Readers will be familiar with the old saying, “one if by land and two if by sea.” The route the Regulars marched on this day was the land route…the way they would have gone if Gage had intended to march them by land on April 19. There was no bridge crossing the Charles from Boston in those days. If one wanted to walk from Boston to Concord, the quickest route was across Boston Neck and along a five mile hike to the Great Bridge (the first bridge across the Charles River originally built in 1662). Presently, it is the site of the Anderson Memorial Bridge, connecting Allston and Cambridge. 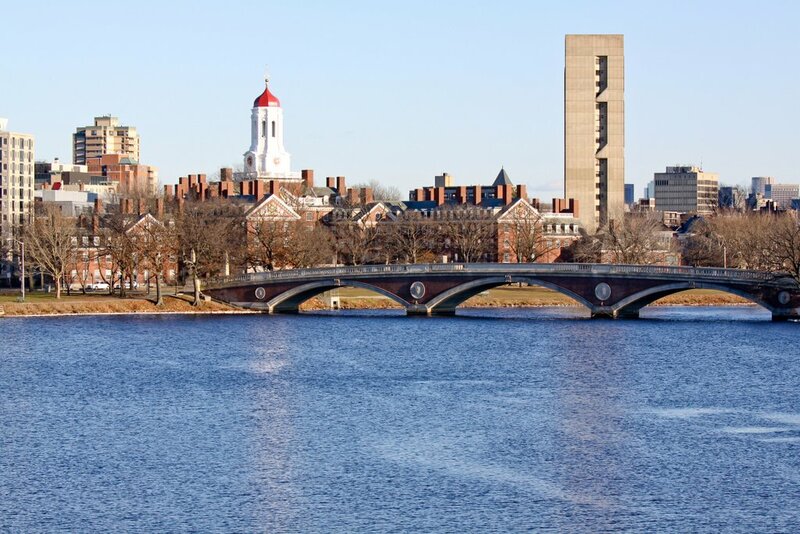 Indications are that Gage had already decided on the sea route, crossing the Charles River by boat from Boston Common to East Cambridge. One wonders if he sent the First Brigade on the land route to simply test resistance or to fool the provincials into thinking that was his intended route…or both. When the First Brigade reached the Great Bridge they were surprised to find that the planks of the bridge had been torn up to prevent their crossing. The provincials had been industrious. The Redcoats were amused, however, to see that the frugal Yankees had piled the planks on the Cambridge side, too thrifty to throw them into the river or burn them. If they wanted, all the Redcoats had to do was send a few men across on the bare stringers to replace the planks. But the First Brigade did not bother. To cross here would have meant marching directly through the heart of Cambridge. And that most certainly would have sparked battle. That was not the intention of the British that day. And so they marched on upriver to the next crossing, about five miles away…the bridge to Watertown. The location of the old Watertown Bridge is now spanned by a 1907 stone structure. Route 16, Galen Street, now passes over it into Watertown Square. At the time the Redcoats approached it, there wasn’t much there. Just a small cluster of farms on the south bank. When the column reached the bridge, they received something of a shock. The bridge was intact but two cannon were aimed across the river at them. Upon closer inspection, however, they realized that the cannon had been abandoned. As Lieutenant John Barker of the 4th Regiment of Foot observed, “They got two pieces of cannon to the bridge and loaded ’em, but nobody would stay to fire them.” And it’s not surprising, really. To oppose an entire brigade of Regulars with a few companies of militia would have been suicide. Whenever the army under command of General Gage…shall march out of Boston, with artillery and baggage, it ought to be deemed a design to carry into execution by force the late acts of Parliament, the attempting which, by the resolve of the late honourable Continental Congress, ought to be opposed, and therefore the military force of the Province ought to be assembled and an army of observation immediately formed to act solely on the defensive so long as it can be justified on the principles of reason and self-preservation. Captain John Parker of the Lexington militia would receive these orders. And so, on April 19, when a force came through his town, he was under orders that such a movement, “ought to be opposed.” Granted, the orders in somewhat contradictory fashion indicated that such a movement should be simply “observed.” But Parker would be mindful that he should stand in opposition and act according to principles of self-preservation. With the maneuver on March 30, 1775, Gage had intended to frighten…to demonstrate that his forces could move at will. Instead he solidified resolve that the Regulars would never again march in such numbers without resistance.